It's a shopping kind of week! I posted about my Prime Day picks yesterday so if you're reading this within the sale window then head to that post and check it out too. Last weekend I was in San Diego visiting family and friends and we had the most perfect girls day with a coffee date, brunch, and shopping! We hit up the Nordstrom sale which was so fun because 1. I love shopping with my friends and 2. I really hate buying clothes online. I just like to see how it will fit because I feel like sizes aren't consistent even within the same brand. I found sooo many good items but tried to restrain myself... key word, tried! 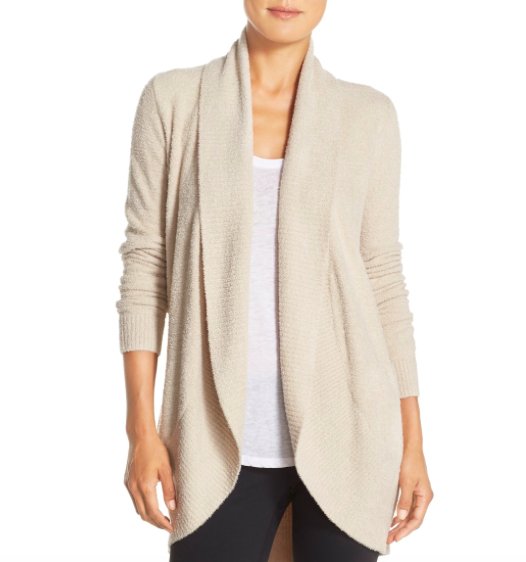 This Barefoot Dreams Circle Cardigan has been on my wish list for two years now. 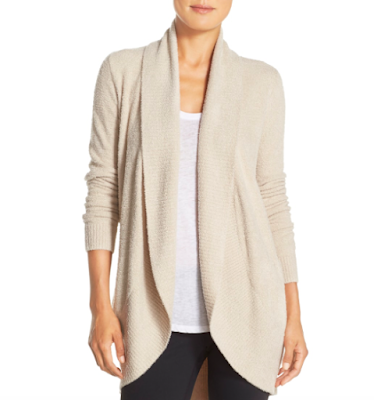 I have the hooded one and LOVE it but wanted one that can be worn out of the house too. Plus this oatmeal color (stone is the official name) is just perfect. I might save this for a Christmas gift... if I can restrain myself lol! It's currently backordered so we will see when it actually arrives. 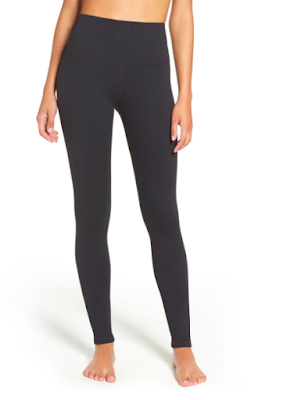 The High Waisted Zella Live In Leggings are a must! I'm not a very big "leggings as pants" person but I will wear these under dresses in the fall and winter. I have a pair that I wore the heck out of last year and they are still in great condition. Never hurts to have a backup though right? I have this same Zella tee in green and I love it! 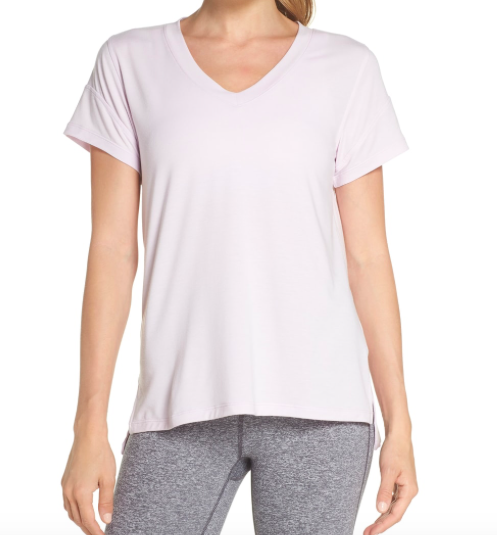 It's super easy to throw on to run errands but I can work out in it too. This color is Purple Moss which looks like a very light purple/ blush in person. It's different but I love it! I saw a lot of this color at the sale. 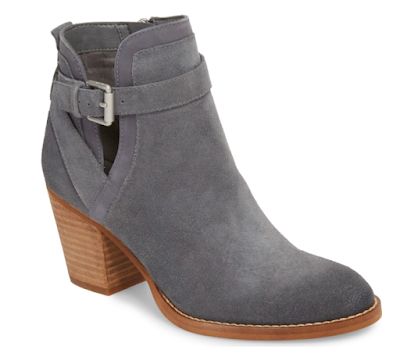 I seem to get a pair of ankle boots each year at this sale and this year I was on the hunt for a blueish gray. I have a couple tan booties and a pair of black booties too. This pair immediately caught my eye especially because they are Sam Edelman which are normally so comfy. I ended up ordering these online the next day because I have a Nordstrom Note that encouraged me buy them lol. I will let you know about sizing and if I keep them! This specific color is called Stone Blue Suede. 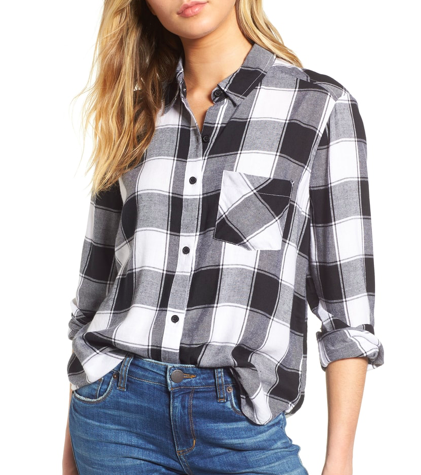 And last but not least, who doesn't love a good plaid?? People rave about the Rail plaid shirts but they are just too expensive, so when I saw this B.P. version I was sold! They are so comfy and cute. They are very oversized so you might want to size down. I usually wear a large and I purchased a medium. I really want the green version too but they didn't have my size.